GM Heritage Center Enthusiasts | Look who landed in the Heritage Center! Look who landed in the Heritage Center! Keith Fritz, a former employee of the aviation department at GM, arrived in town from Utah, and logistics worked in his favor. He was able to join old friends and family members from different states at the Heritage Center. All are Corvette owners! Keith’s brother, Jamie compared the Heritage Center to coming home from Church on Christmas Eve and opening the presents all over again! Now that’s excitement! 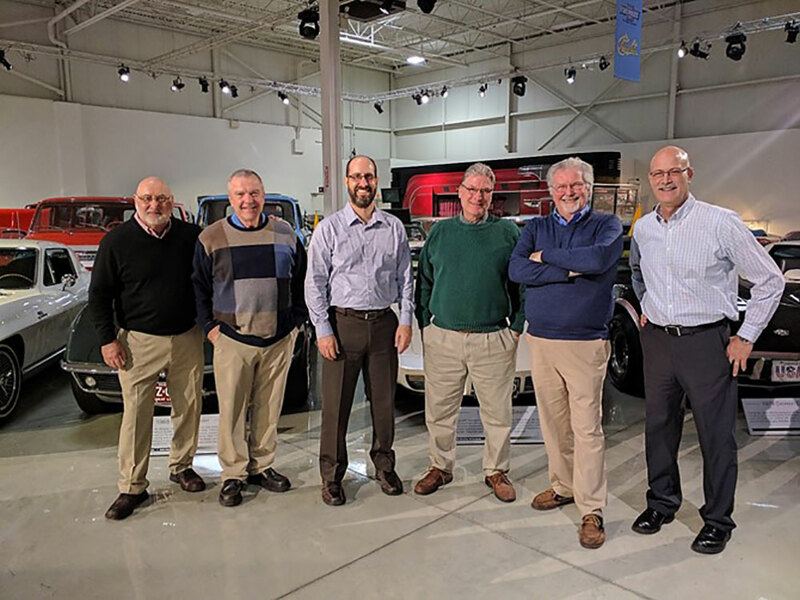 Seen here are George Odishoo, Florida, Keith Fritz, Utah, Jonathan Odishoo, Jamie Fritz, and Jim Kaun, all from Wisconsin and Bob Rufli, from the Oakland County Airport.